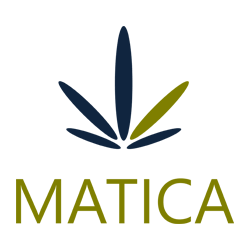 May 23, 2018 – Toronto, Ontario – Matica Enterprises Inc. (MMJ – CSE) (39N – Frankfurt) (MQPXF – OTC) (“Matica” or the “Company”) is very pleased to announce that the Company has engaged Ron Berkhout to design greenhouses for the 181 acre property in Hemmingford, Quebec as announced in the April 25th News Release. The Company intends to begin construction of a 200,000 square foot custom designed and built greenhouse in June of this year, with a long-term goal of building 1,000,000 square feet of combined greenhouses. Ron Berkhout, founding partner of Inhuis Contrived Inc., has worked in the horticultural industry for nearly 30 years. Starting at a young age, working with his father he built greenhouses across Ontario, learning the industry first hand. For two decades, Mr. Berkhout worked for the two largest horticultural lighting companies in the world, P.L. Light Systems and Gavita Horticultural Lighting, where working with his father successfully opened their North American office. After 14 years with Gavita, most of that time spent successfully lighting many of the large cannabis production facilities across North America, he launched Inhuis Contrived Inc. together with industry experts. Inhuis combines nearly 500 years of horticultural expertise, offering full cultivation equipment solutions for North America’s cannabis market. Matica and RoyalMax Biotechnology Canada Inc. (“RoyalMax”) continue to work together towards the licensing of the Dorval Facilty. RoyalMax submitted the Confirmation of Readiness for a License under ACMPR to Health Canada for the production facility in Dorval, including the Photographic-Evidence video to Health Canada to request a cultivation license. RoyalMax continues to work towards receiving a Cultivation License from Health Canada. To assist in achieving our goals the Company has engaged the services of David Hyde & Associates Inc. to communicate with Health Canada on behalf of RoyalMax. David Hyde is one of Canada’s top independent security consultants, an industry-recognized leader and trusted senior advisor to many large organizations. Mr. Hyde and his team offer a full-service cannabis security licensing advisory service based in Toronto and operating across Canada.